With your friendly and skilled eco guide and driver, enjoy the safety and adventure on this fully guided 4WD off-road adventure - an Eco-Experience on Moreton Island. 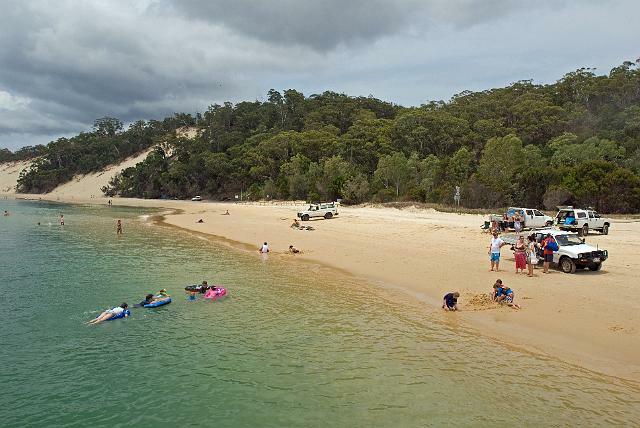 We land on the west coast of Moreton Island and drive onto the Sandy Beach – the world's third largest sand island. Travel with your guide by 4WD to the desert, pass beautiful wildflowers and bird life to remote sand hills. Here your guide will take you, with equipment, to sandboard the sandhills at speed, or try a gentle slope (speeds up to 65kms an hour). This area is great for walks, hikes and photography. After this adventure, 4WD across Moreton Island National Park - we past the highest sand hill in the world "Mount Tempest" before arriving on the eastern surf beach of Moreton Island - our beach highway for the day. 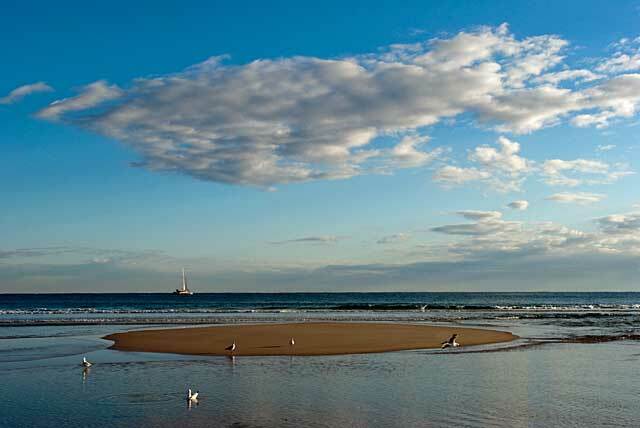 Enjoy the 10 km beach drive - spotting sea eagle, hawks, pelicans and oyster catchers with your local guide giving stories both old and new. 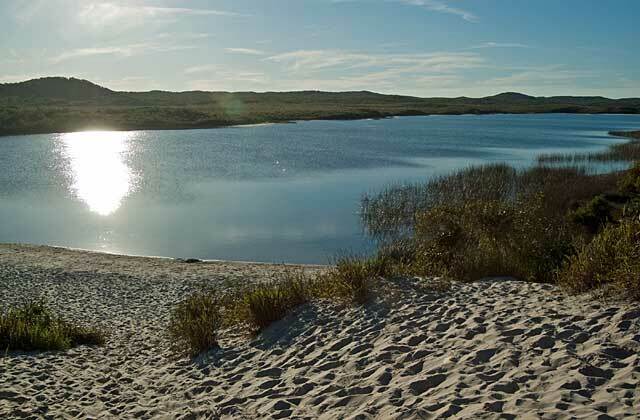 We arrive at Blue Lagoon, a short coastal forest walk to the sand filtered fresh waters (window lake). Relax, swim, photo, snorkel.